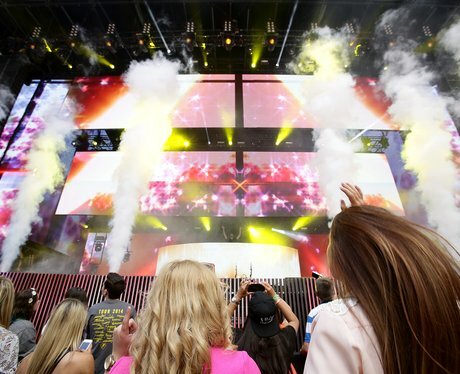 Smoke jets erupt on stage for DJ Calvin Harris's Summertime Ball opening set. 4. Smoke jets erupt on stage for DJ Calvin Harris's Summertime Ball opening set. What's Calvin Harris' Real Name, Does The Scottish DJ Have A Girlfriend And What's His Net Worth?